The expansion valve is mounted at the evaporator inlet and regulates the refrigerant going into the evaporator. Buy a new expansion valve! 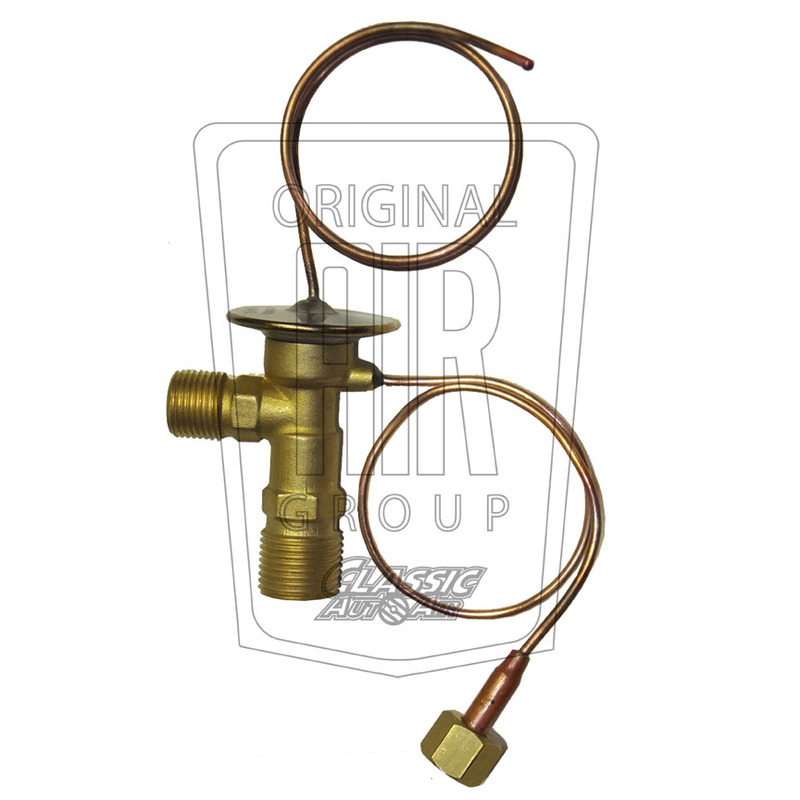 We offer new direct replacement, NOS & NORS Mopar expansion valves. Please call or email! Why replace or restore my expansion valve? Most a/c technicians will automatically change out the expansion valve as it’s commonly a source of air conditioning failure. A good indication that your expansion valve has failed or is failing is a negative or high system gauge reading. This is either as a result of contaminants clogging the valve up or valve failure. Because many valves are no longer made, Classic Auto Air offers testing and reconditioning services for your original. There is also a good chance that a NOS or NORS might be available. Please call or email!